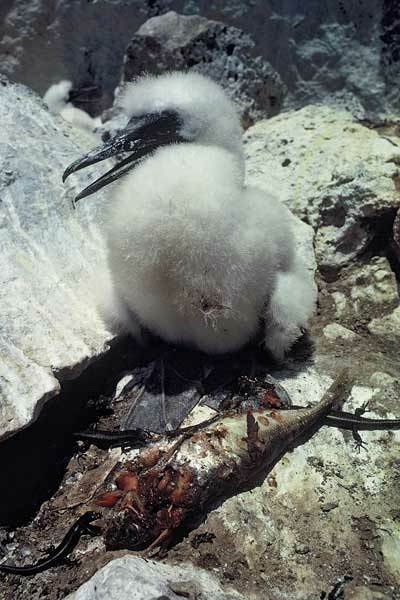 Skinks and geckos enjoy a meal of regurgitated fish, left for this gannet chick on the Poor Knights Islands by its parents. Offshore islands often have a high density of lizards, because they lack introduced mammalian predators. Many of New Zealand’s lizard species have become extinct on the mainland and live only on island refuges.